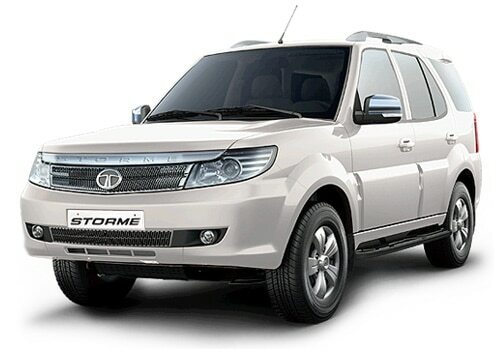 Tata Motors has finally launched the new Tata Safari Storme with a base price tag of just Rs. 9.95 lakh in Indian markets. This vehicle has got everything that is needed by the travelers and SUV lovers. It comes with an irresistible body design that will definitely catch your eyes in the very first moment. However, the company has not provided some of the main features in the base version, which makes it an affordable SUV in the market. The company work pretty well to bring out a quality product for the Indian markets and that too with the affordable price tag. The company seems to be focusing on the growing demand for the SUVs in Indian market, which is why the reason it came up with stunning looking product that will be placed in affordable range. This vehicle will be competing with it Indian rival Mahindra Scorpio, which comes with same price tag. It will also compete with few other SUVs which were launched recently in Indian markets. 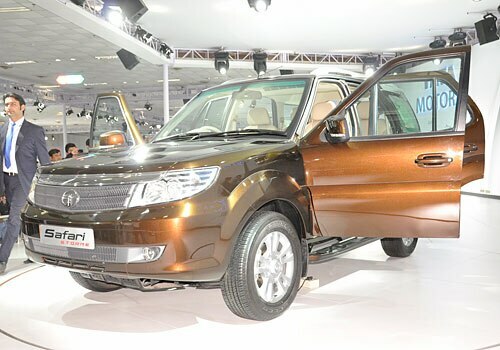 Now the all new Tata Safari Storme is one of the most awaited SUVs in India as the previous version have carried a good reputation in the market since many years. As soon as it was unveiled by the company, it caught the attention of many because of the amazing appearance that carries the cues of the Land Rover. The front view is simply got better with the new design headlamp with hawk wing shaped, radiator grille, body colored bumper and more. It has also got the fog lamps, black colored air dam and few others that make it an elegant SUV in the class. When it comes to the Tata Safari Storme features and specifications, the new vehicle is coming with 2.2 liter VariCOR diesel engine with a displacement of about 2179cc with an ability to generate a peak power of about 140 Bhp at 4000 Rpm and makes torque power of about 320 Nm @ 2700 Rpm. The engine of this vehicle meets the standards of BS IV emission standards that are pretty impressive. It has the seating capacity of about 7 members including driver. The vehicle also comes with most important features such as ABS (Anti Lock Braking system) and few other important features. 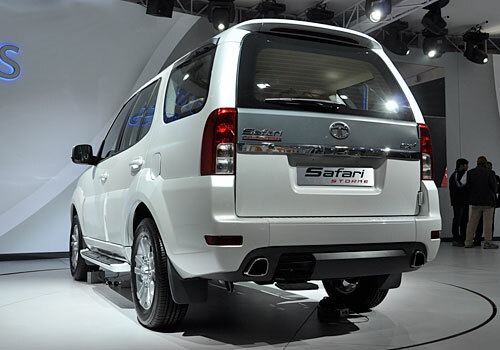 Tata cars earned the trust in Indian markets with the Safari brand that created waves across the SUV segment. The all new Tata Safari Storme price starts at just Rs. 9.95 lakh, which is very reasonable and affordable. What really impressive about this vehicle is the Tata Safari Storme Pictures that explains the power of this SUV. I shared 2013 Skoda Rapid is the best sedan which compete with others.